In Brazil, we have a famous dessert called "Brigadeiro". It's a decadent truffle-like sweet made of condensed milk, butter and chocolate. A birthday party without brigadeiro, is not a birthday party. 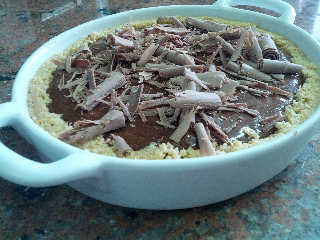 Of course, as brazilians have a sweet tooth, they found a way to create a giant brigadeiro: we call it "Brigadeirão". 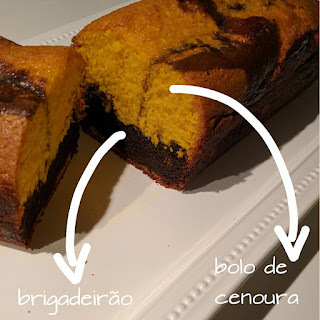 You can check out my recipe for a 15-minute Brigadeirão here. 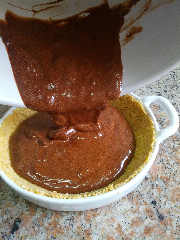 So that's the brigadeiro part. Now there's the carrot cake part. Carrot cakes in Brazil are nothing like what carrot cakes look like in other parts of the world. They are bright orange in color (as carrots are!) 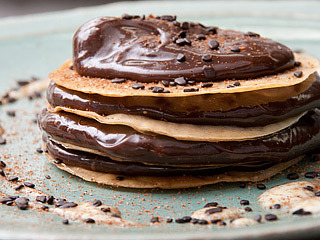 and are covered with a chocolate sauce. I got the recipe here, on Tastemade. 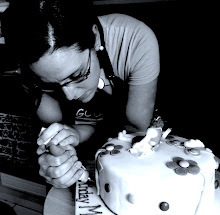 Carla Pernambuco is one of my favourite Brazilian chefs - ever. I was fortunate enough to work at a place who had her catering our company canteen. Her desserts are to-die-for. Carla also has a TV show on Brazilian cable channel Bem Simples, called Brazil no Prato. Today, she taught how to do Brigadeiro (a traditional Brazilian sweet) with a few twists. Besides making Brigadeiro in a slightly different way using chocolate bars (instead of cocoa powder), no butter, Ovaltine and honey, she also gave it a wonderful touch turning it into a Mille Feuille filling :) For the full recipe click here. YUMMMMM! I got an awesome recipe (Chocolate, The Food & The Music) book for my birthday containing only chocolate delights. And since chocolate mousse is one of my favorite desserts, I decided to try out this recipe for a Chocolate Mousse Tart. It was super easy and delicious! 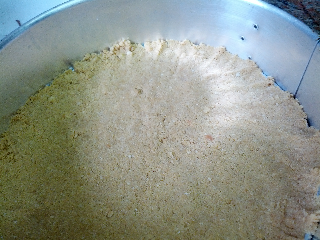 To make the shell, crush the cookies and crackers with the melted butter and press well into the bottom of a cake pan. Let it chill in the refrigerator. 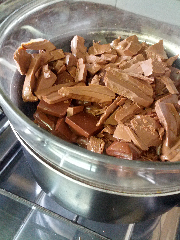 For the topping, melt the semisweet and milk chocolates in bain marie. Let it cool slightly, then add the yolks and stir vigorously for 1 minute. In a separate bowl, whisk the egg whites until they form soft peaks. 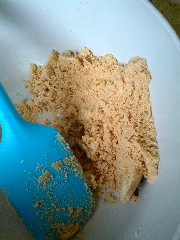 Add the superfine sugar and beat until it forms stiff peaks. 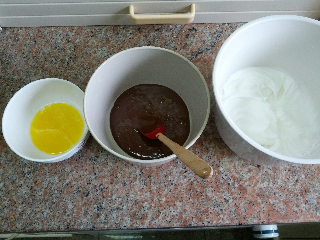 Fold the chocolate mixture into the egg whites. Por the mix over the tart shell. Chill in the refrigerator for at least 5 hours (or overnight even better). 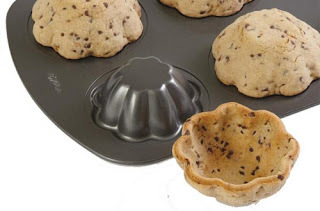 Use chocolate flakes to decorate when serving. 30 mins prep, 25 mins in oven, absolutely delish! 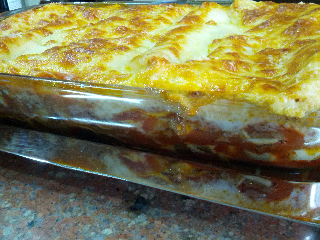 Used a simple béchamel sauce recipe taught by a friend over this past weekend. This is a Flickr badge showing items in a set called Pat Cakes Gallery. Make your own badge here.